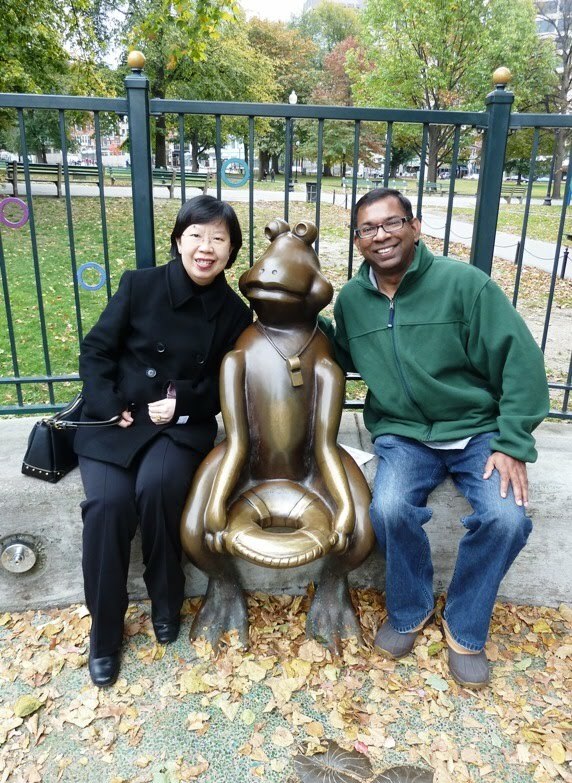 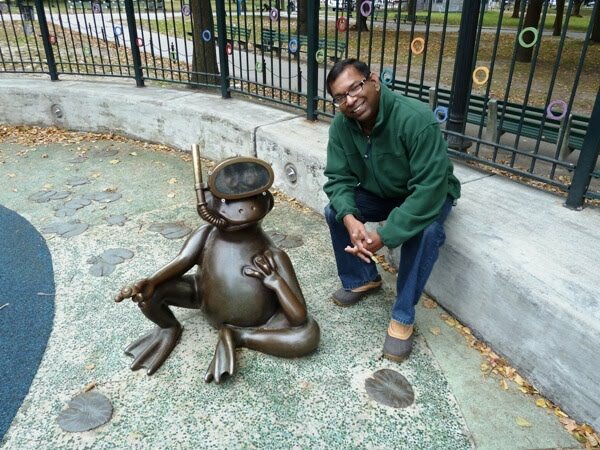 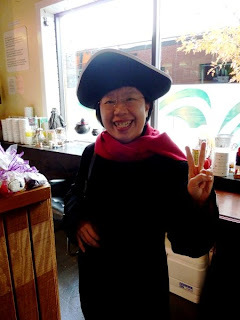 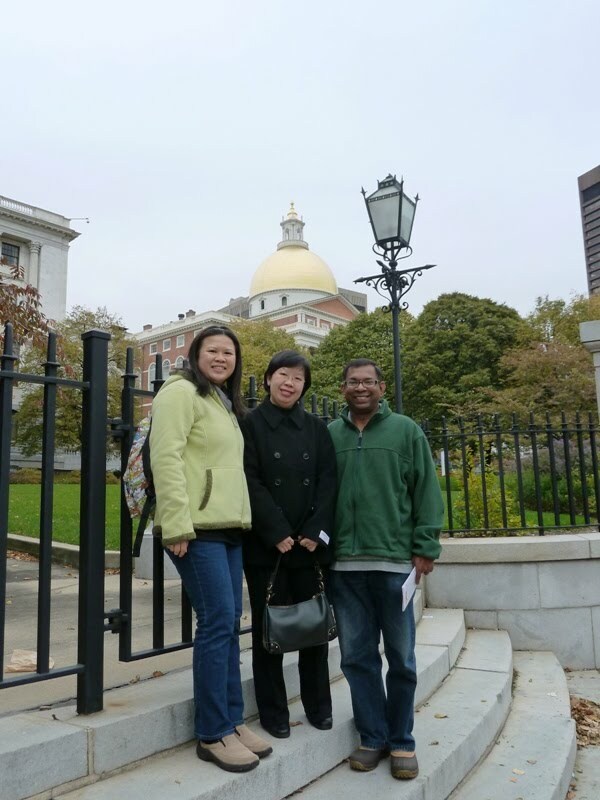 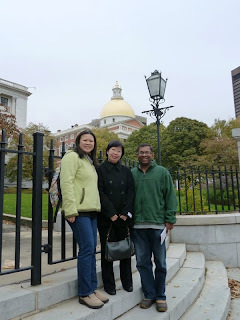 Our good friend LL flew in to Boston the third week of October. 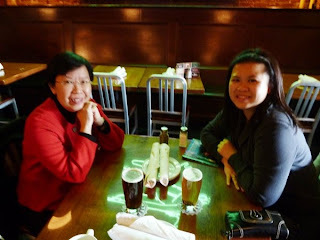 She was here to give some talks to our future young leaders of SG. 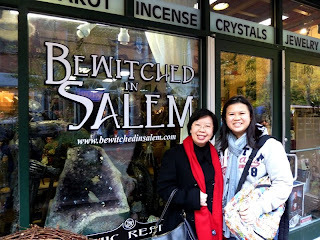 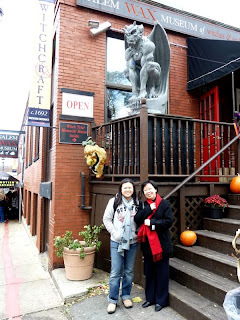 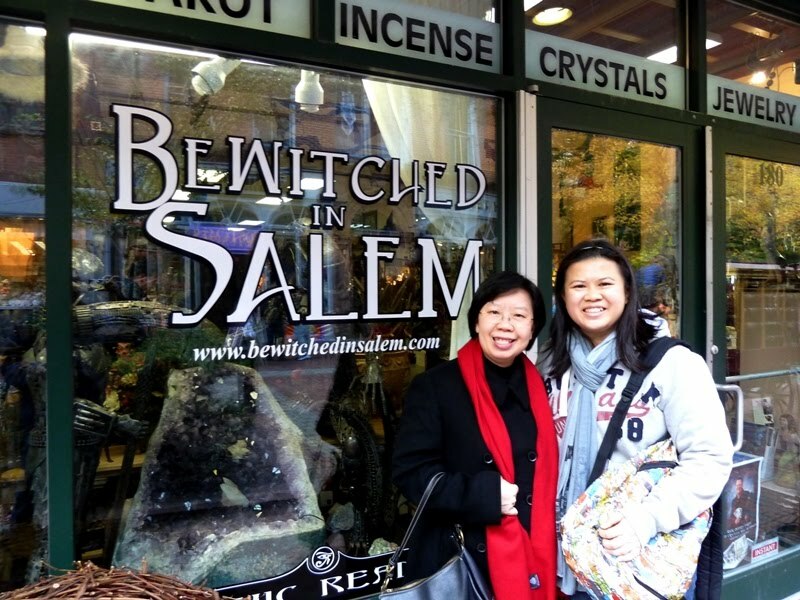 As she had some time for leisure, we brought her around Boston, Cambridge and also up north to Salem where things were really heating up towards Halloween. Unlike the creepy cemeteries in SG, the graveyards here can be really serene and beautiful. 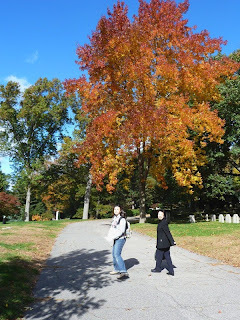 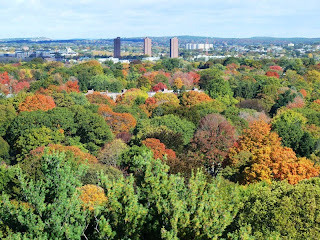 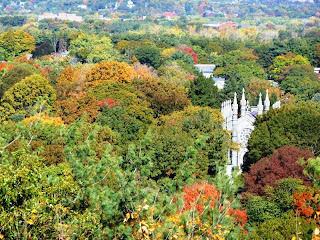 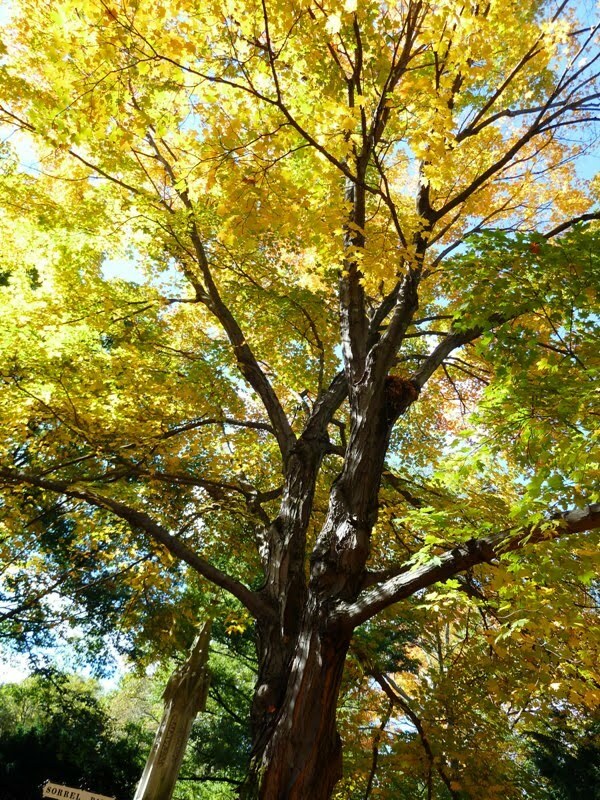 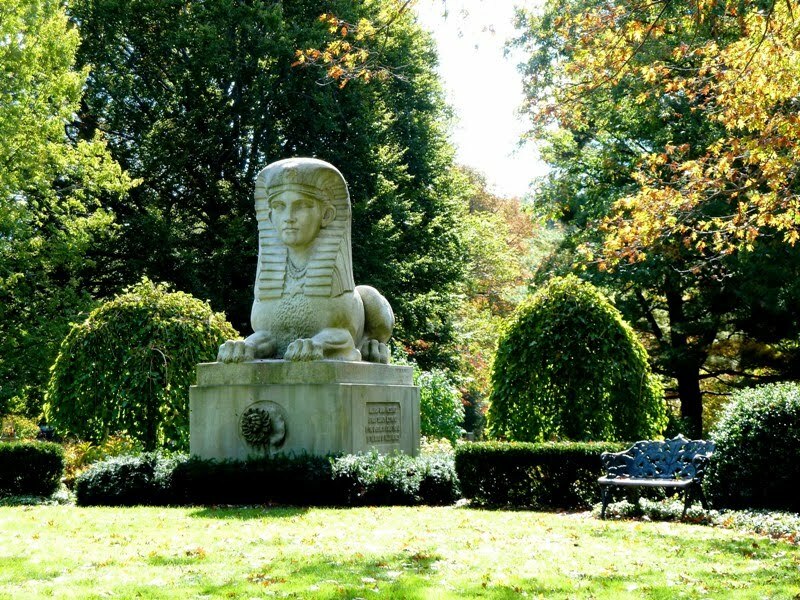 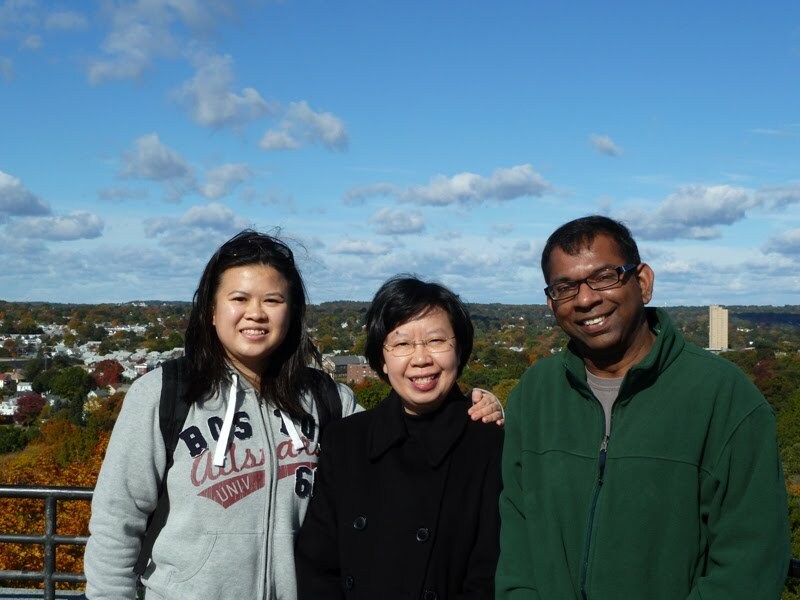 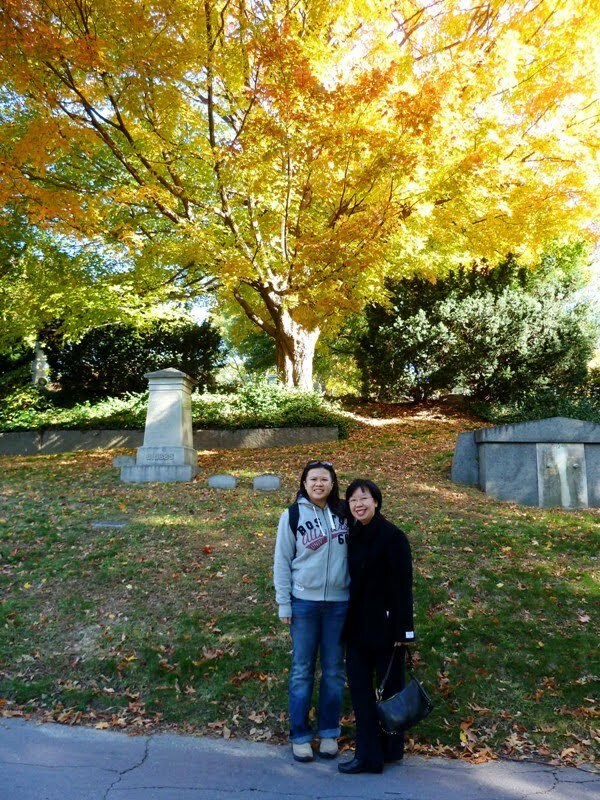 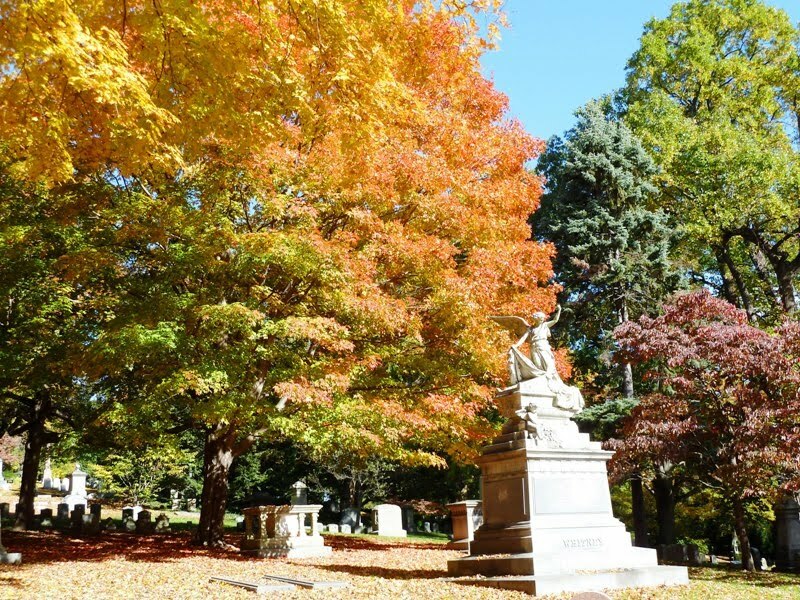 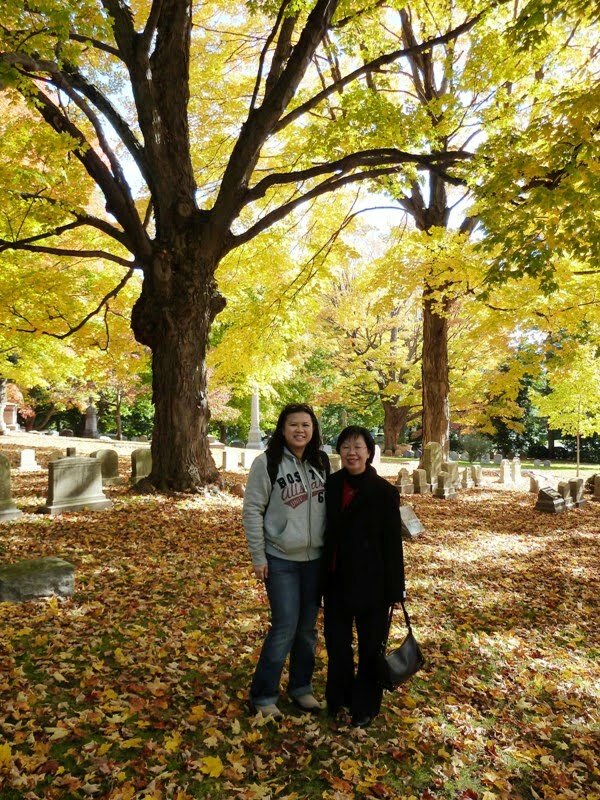 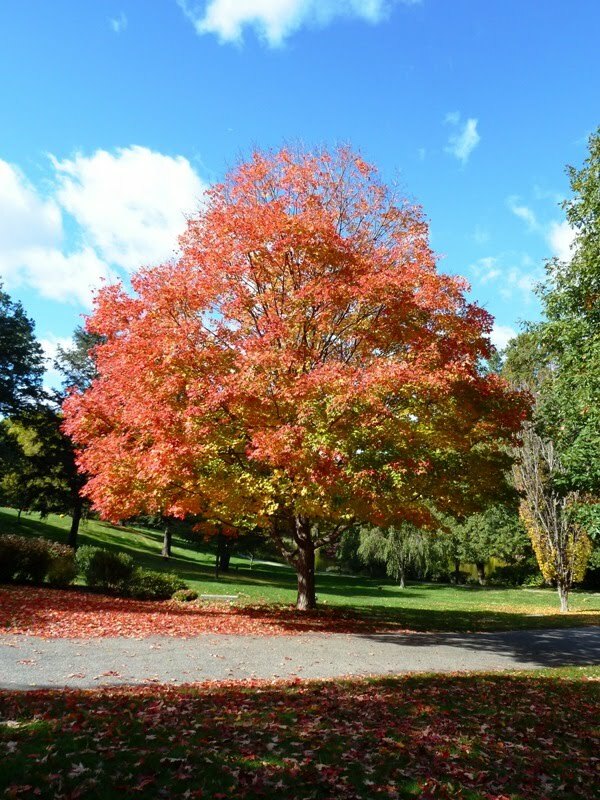 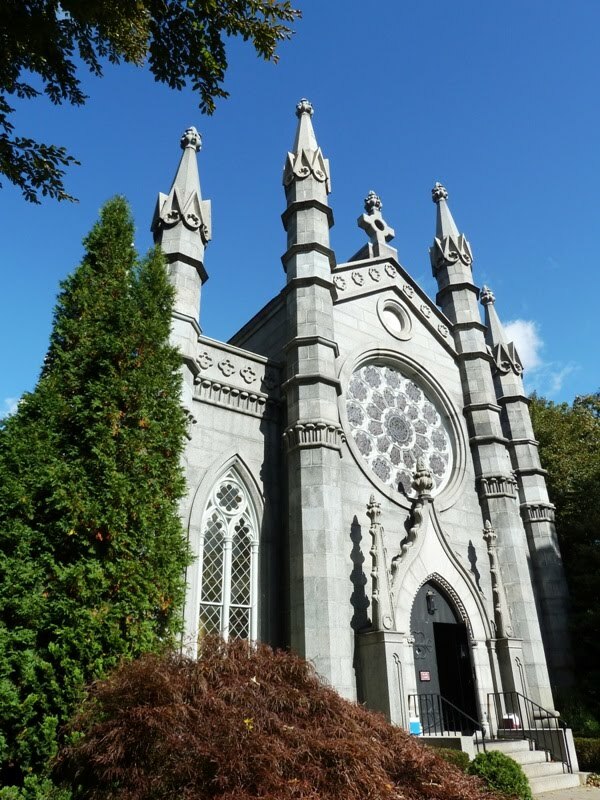 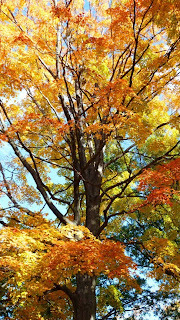 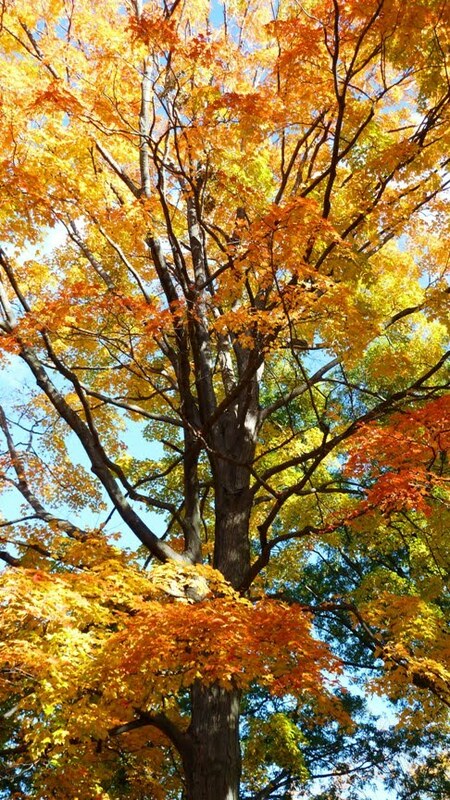 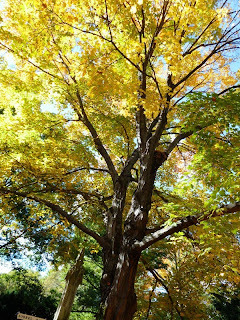 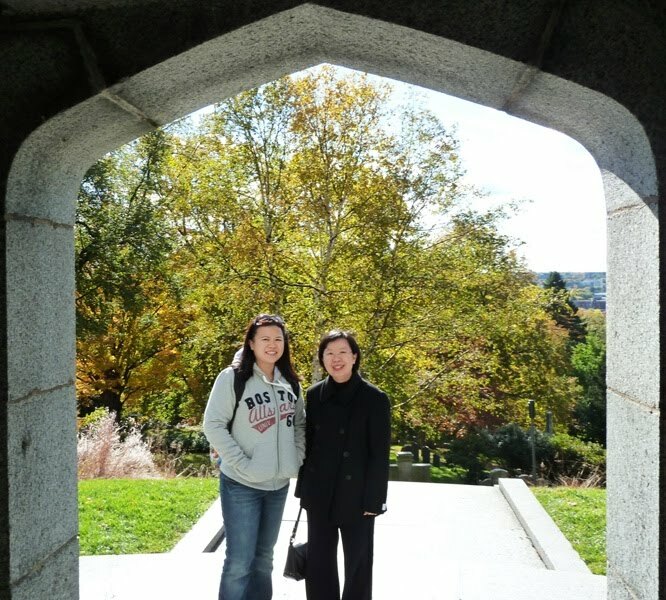 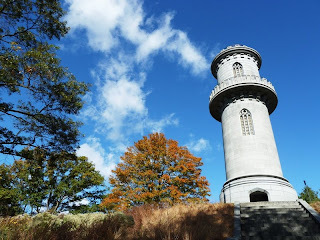 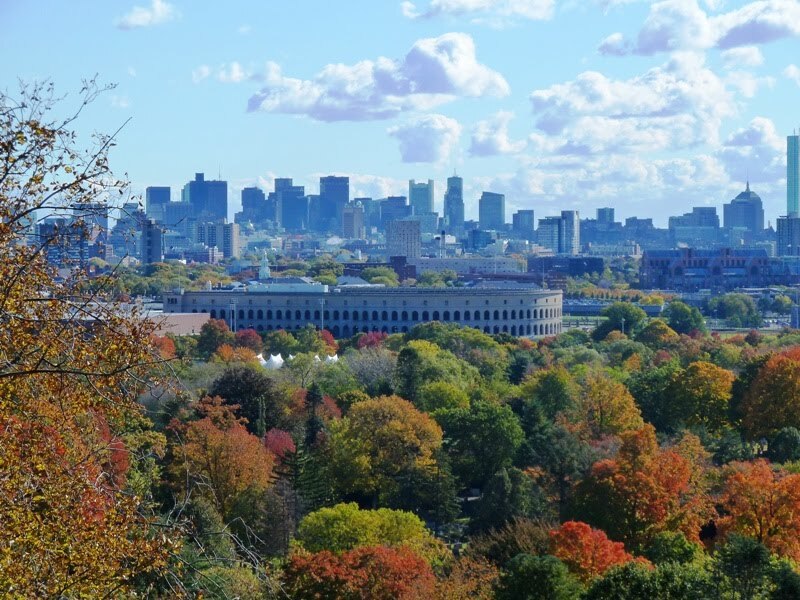 Indeed, we managed to catch some wonderful sights of fall foliage at Mt Auburn Cemetery. In the middle of the huge cemetery is the Washington Tower. 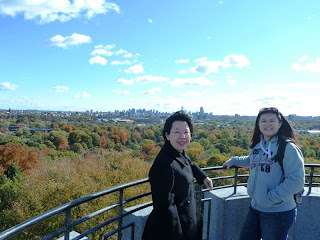 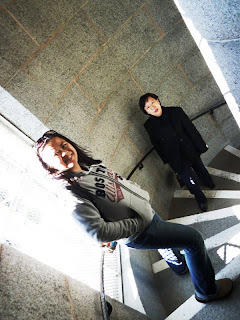 We climbed up to the top and were rewarded with the most amazing views of the surroundings as well as the Boston city skyline. 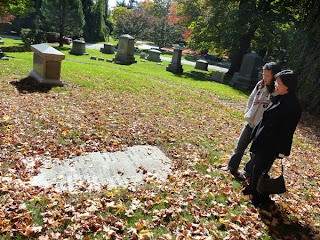 We enjoyed looking at the beautiful headstones and monuments......some had really meaningful wordings on them. 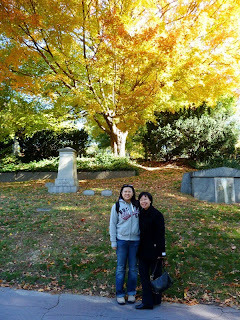 As Mt Auburn Cemetery is an active burial place....we also saw fresh graves of the recently deceased (bless their souls). 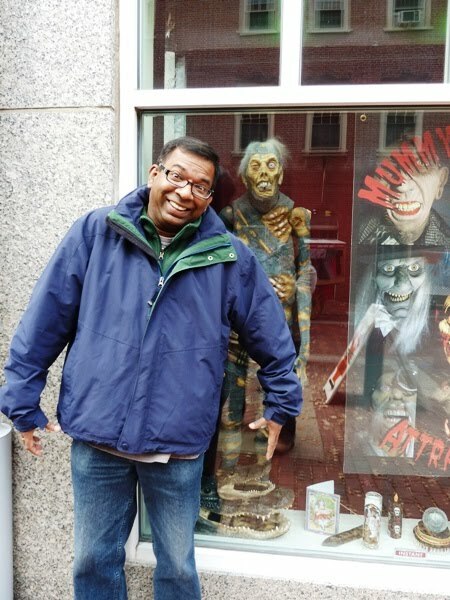 We brought LL to a brewery in Salem for some Oktoberfest brews over lunch. 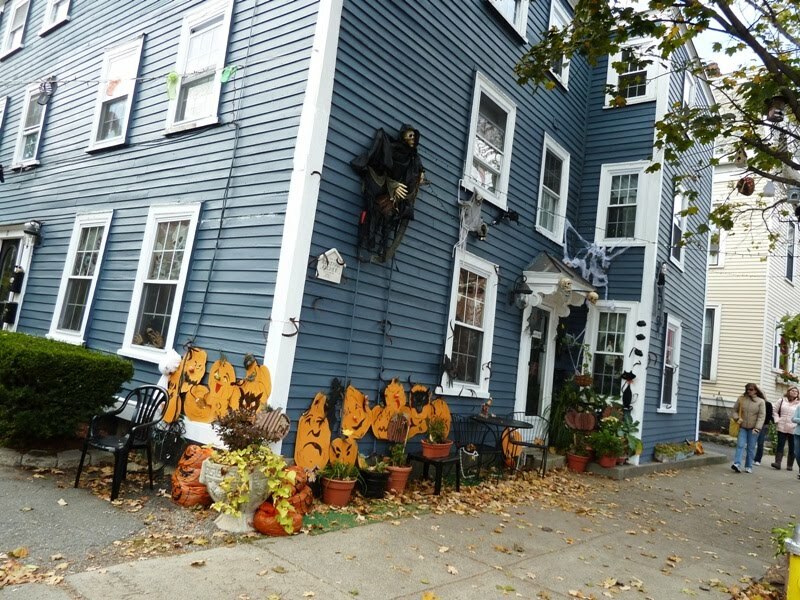 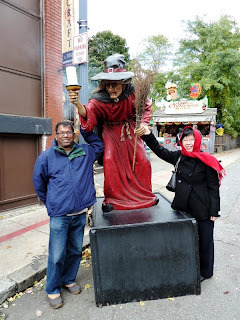 We decided to bring LL to Salem (about 45min drive from Boston) 'cos it was the week before Halloween then and the entire place (famous site of the Salem witchcraft trials of 1692) would be alive with much festivities and celebrations as people from all over the states would gather in Salem in the few weeks leading up to Halloween. We had a lot of fun checking out the halloween decorations, halloween costumes and many other halloween related events i.e. 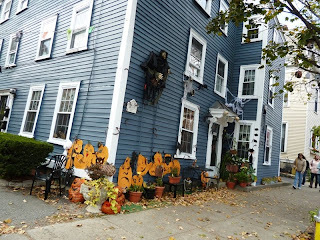 witches conference and fair! 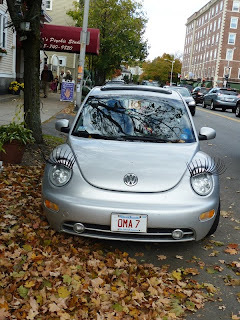 Can you see the curly eyelashes on the Beetle?? 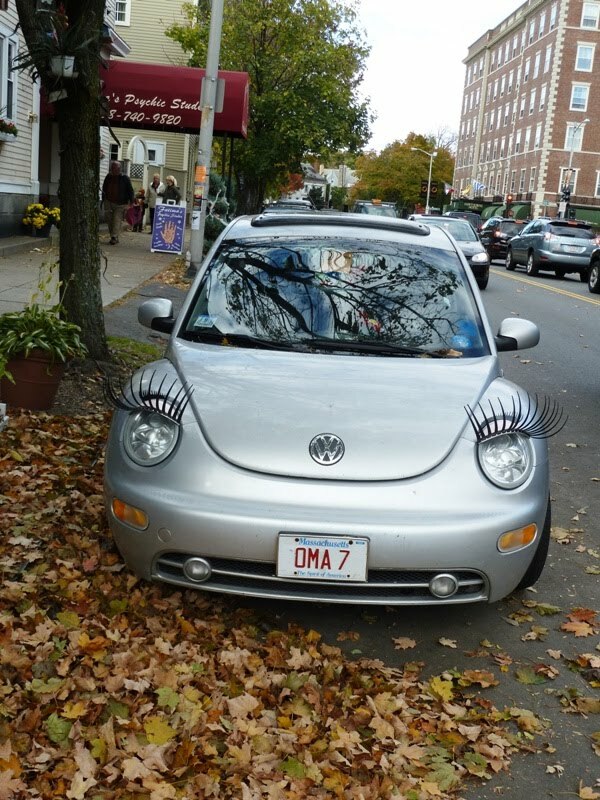 Creepily cute!!!! 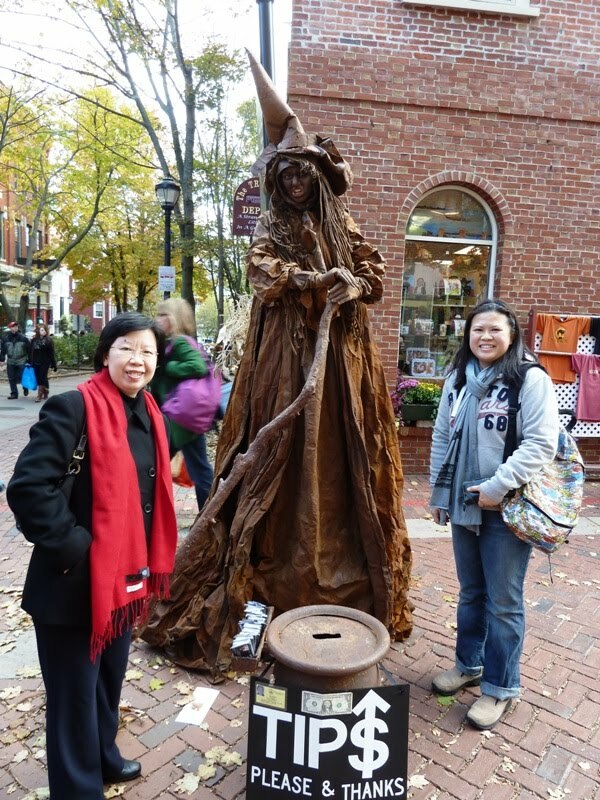 That's a real person - street performer! She really looked like a bronze sculpture. 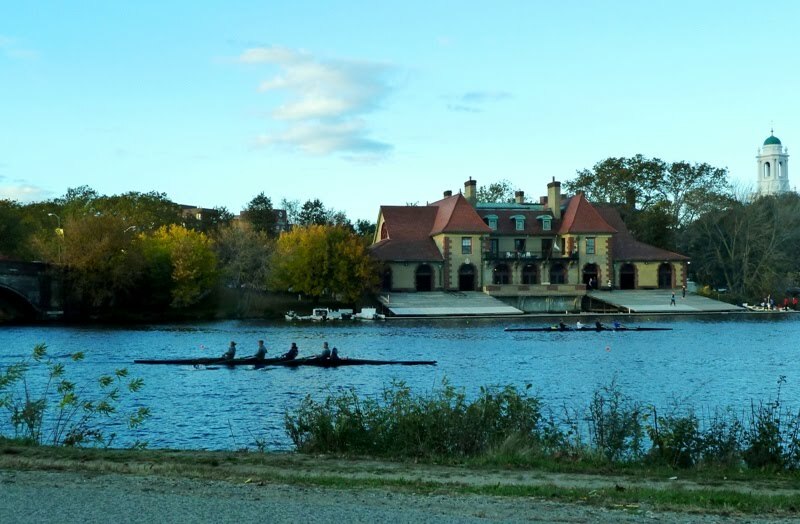 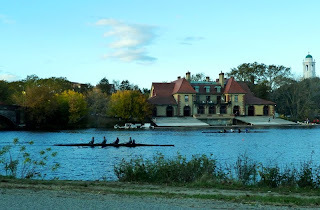 On our way back to Cambridge, we saw the rowers practising for the Head of the Charles Regatta that was taking place that particularly weekend. 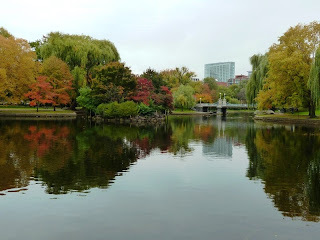 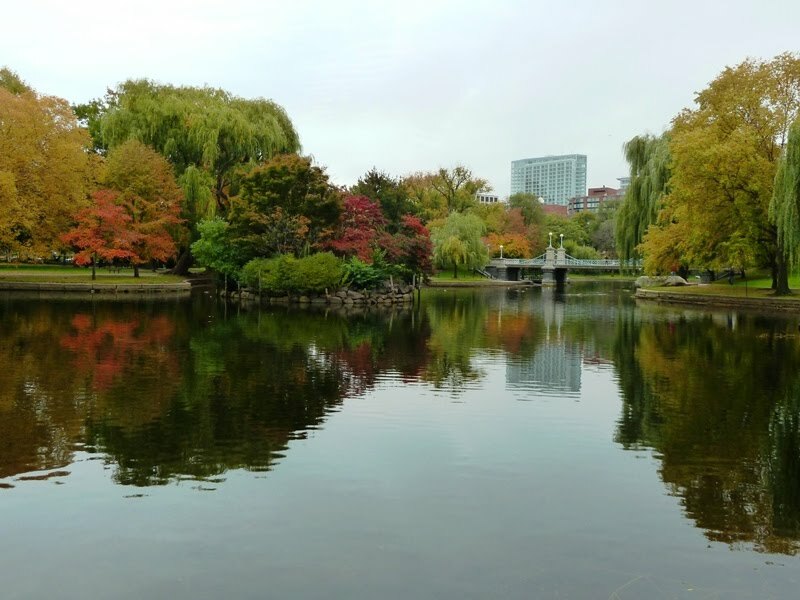 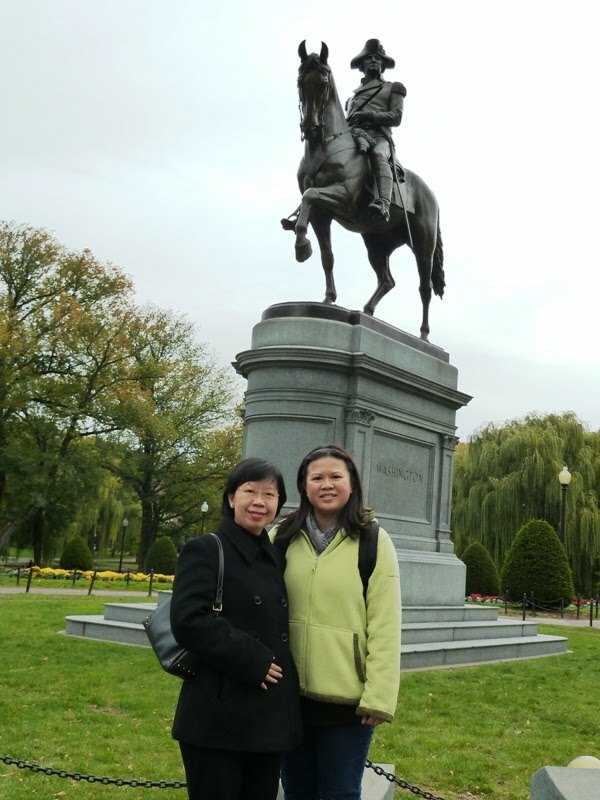 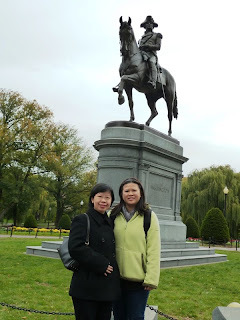 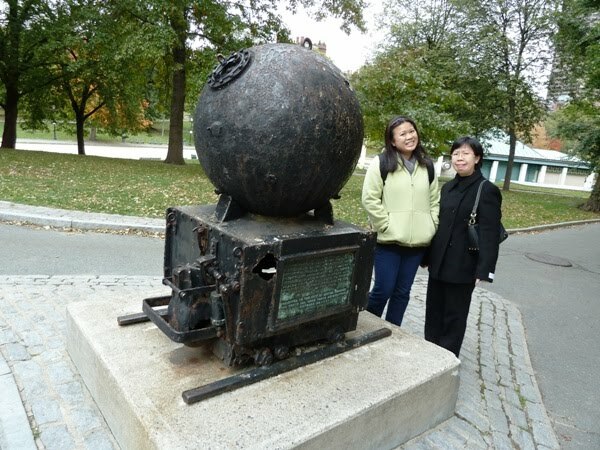 Over the weekend, we met LL early in the morning and brought her to Boston Commons for a walk. 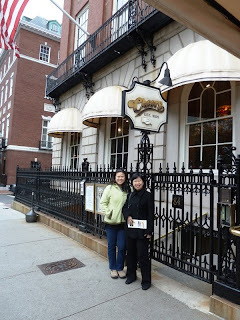 We started at the famous Cheers pub!! 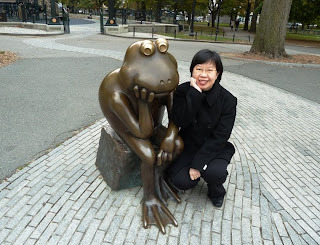 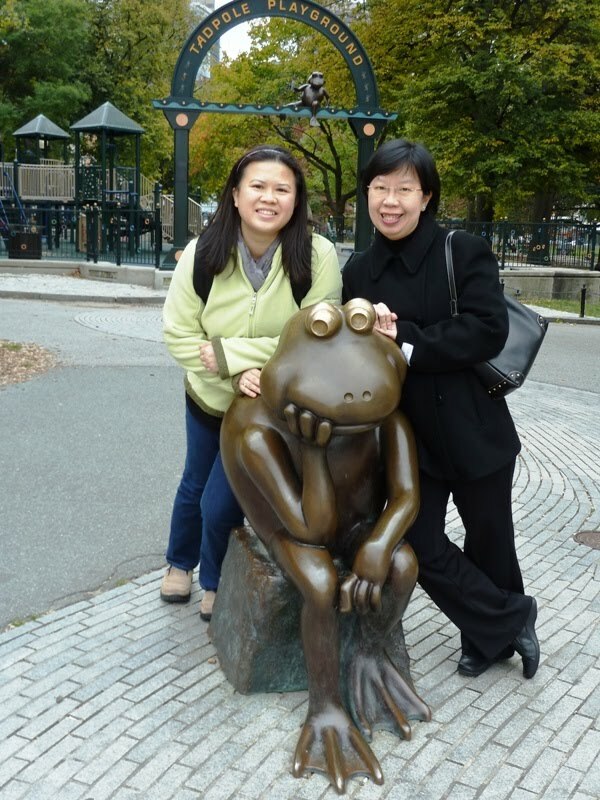 The cute frogs were much more fun to pose and take photos with!!! 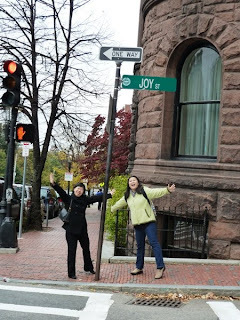 Wouldn't it be JOYful to live on this street??!!! 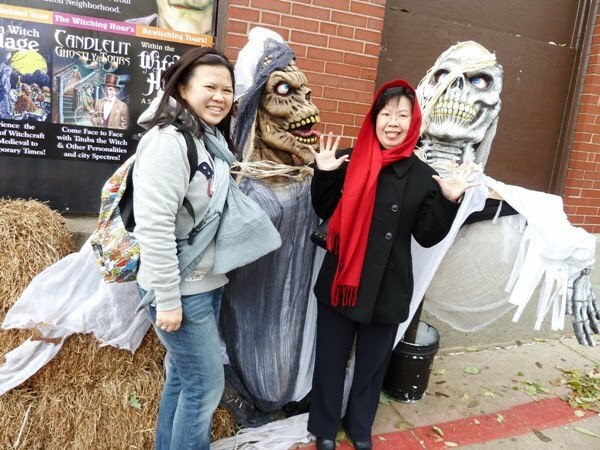 Passerbys were tickled by our antics! 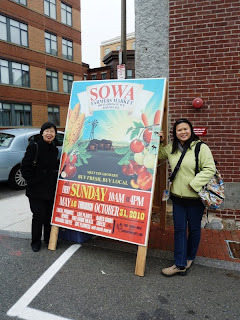 We also visited the SoWa open market where there were all kinds of handmade crafts, antiques and even a farmers' market selling all kinds of fresh produce and breads/cupcakes/cookies. 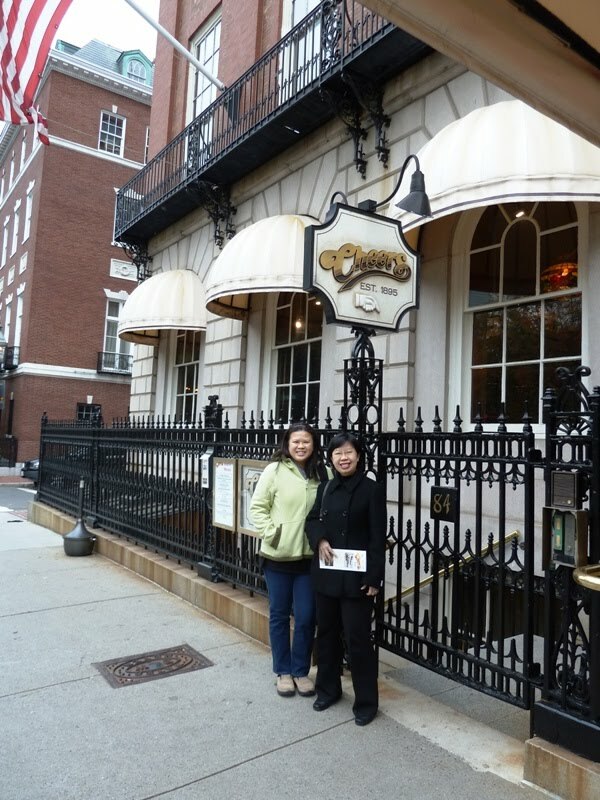 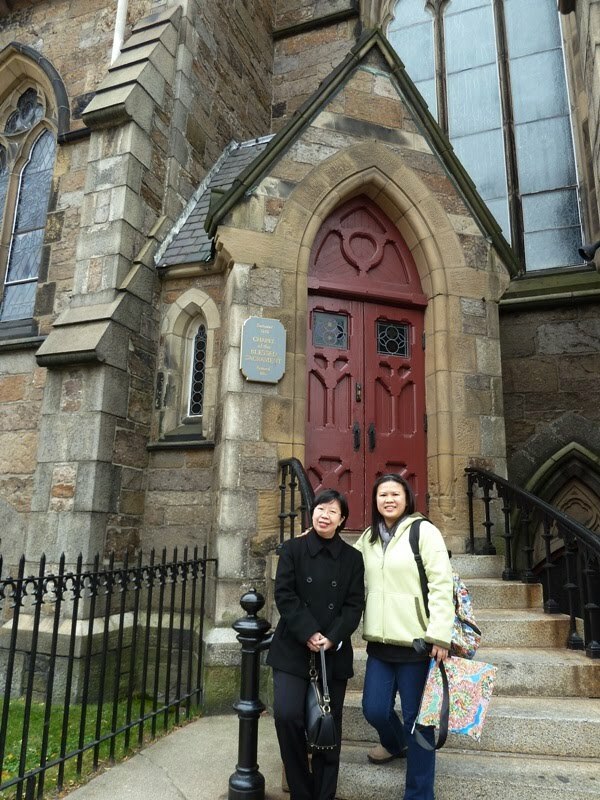 Then we said goodbye to LL when we dropped her off at her work lunch venue at Faneuil Hall. 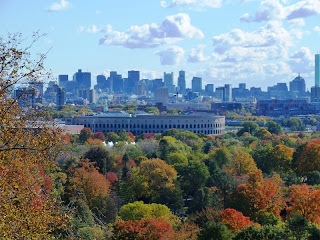 She was leaving Boston for Connecticut the following day. 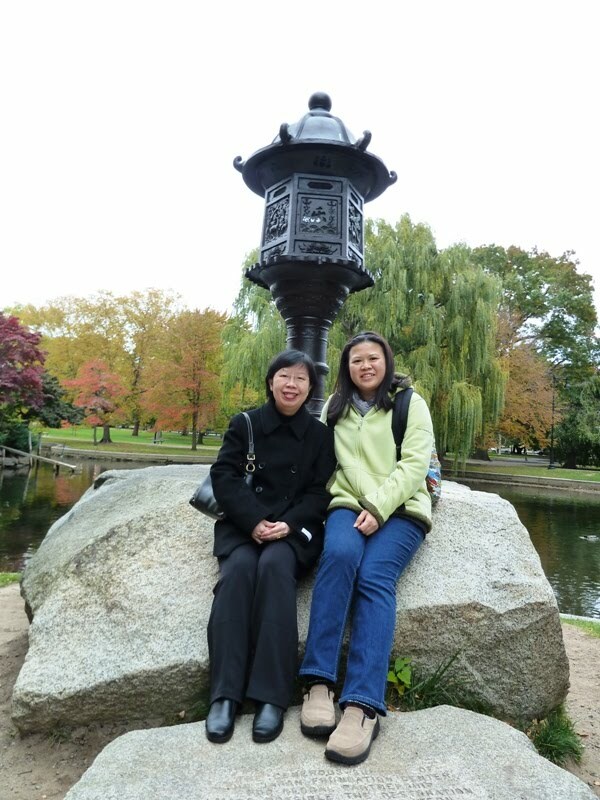 It was really nice catching up with her again in Boston! 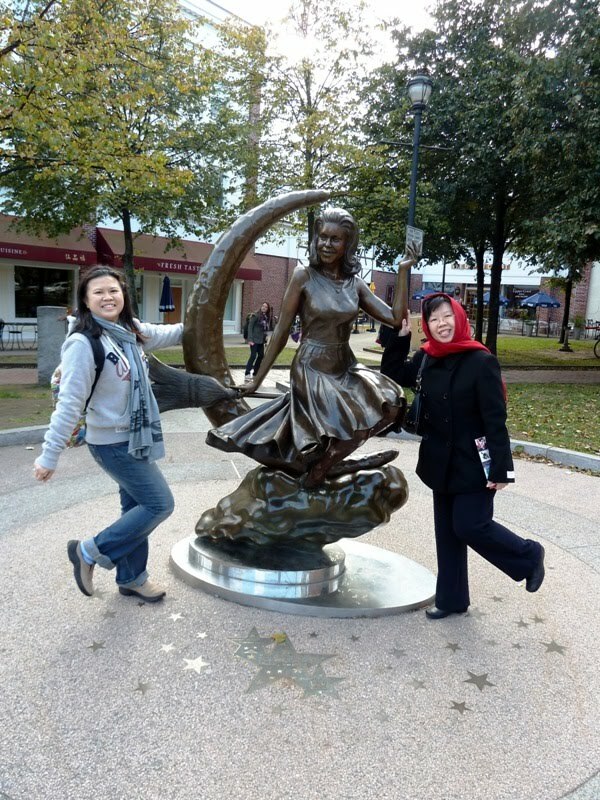 My ex-colleague and good friend RB was also in town for work so we met up and had tea at Prudential Center. 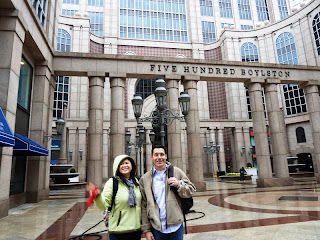 Along the way, we stopped at 500 Boylston to take a photo! It is really nice to catch up with old friends....and the months of September and October had been particularly fruitful!!! 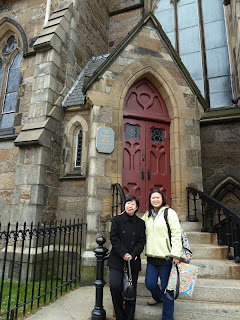 I hope to see more friends in the US of A.